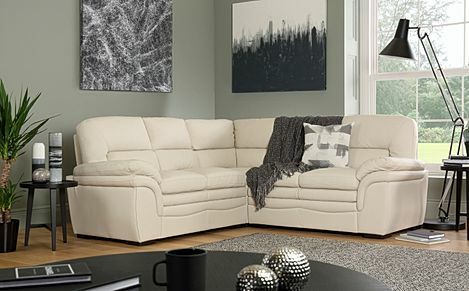 Elegant, bold and distinctive – a stylish cream & ivory leather corner sofa is a classic and noteworthy choice. 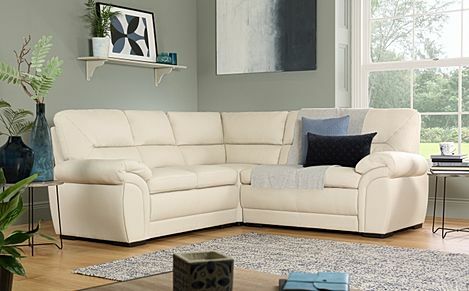 With a confident elegance, our spacious cream and ivory leather corner sofas combine style and luxury, ranging from comfy, roomy recliners to modern, fashionable silhouettes. Furniture Choice has a wide variety of sofas to suit every home and budget, and wiith fast and free delivery to most parts of the UK, shopping online with us is convenient and fuss-free. 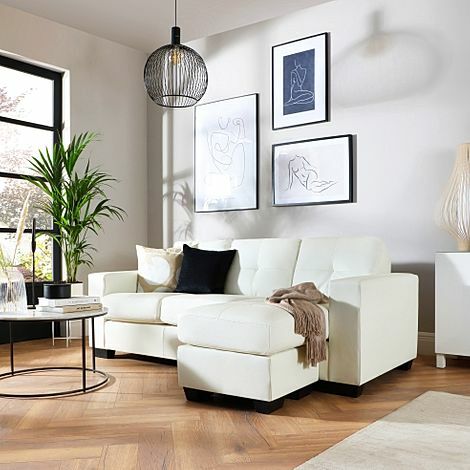 Our ivory and cream leather sofas are upholstered in soft, luxurious leather with a protective durable coating which is easy to maintain and keep clean. If you prefer darker, neutral shades check out our range of brown and grey leather sofas which are versatile and will give your living room a fresh update. Sprawl out in the comfort of our own home with one of our corner sofas. 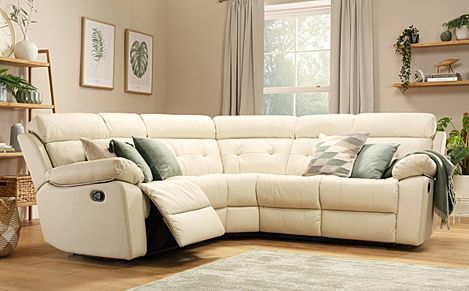 Designed to maximise floorspace, these versatile sofas can accommodate the whole family. If you are looking for more compact options, our 2 seater sofas and fabric armchairs are ideal for smaller homes.